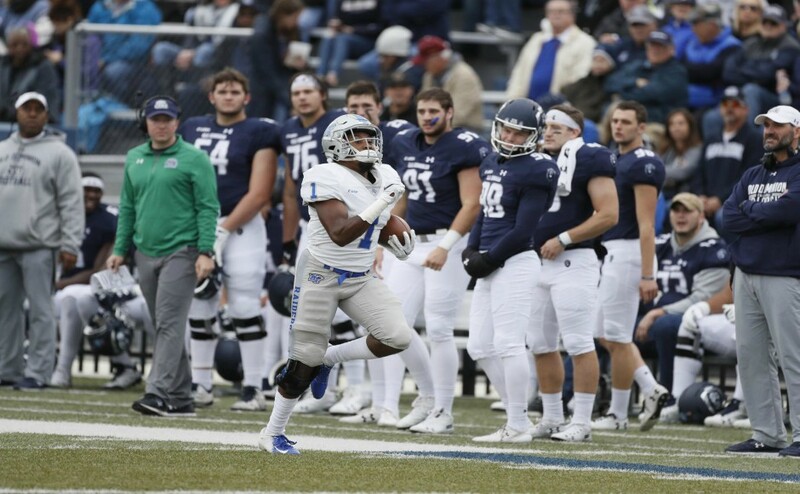 Middle Tennessee State University wasn’t able to pull out a win Friday night in a high scoring game against Old Dominion, losing 9-8. In a matchup that was back and forth all evening, there was no telling who was going to win until the final out was called. Old Dominion got the offense going first, scoring a run in both the first and second inning to go up 2-0. MTSU got on the board in the bottom of the second. Aaron Aucker was walked to start the inning, followed by Drew Huff getting hit by a pitch. 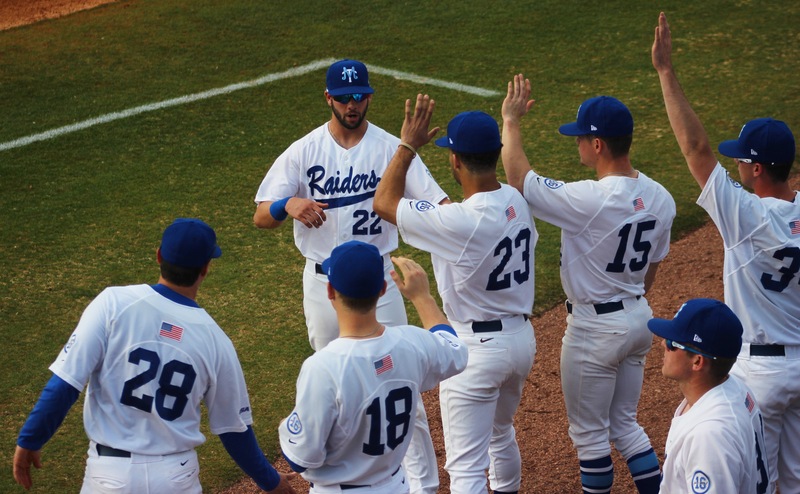 Ryan Kemp was able to get a single, but a throwing error put him on second, Huff on third and bring in Aucker for the Blue Raiders’ first run of the game. First baseman Kaleb King was able to single to right field, bringing in Kemp and Huff to put MTSU up 3-2 after two innings. The third and fourth innings saw Old Dominion bring across two more runs, one in each of the innings to go up 4-3 headed into the bottom of the fourth. Kemp wasted no time, hitting a home run to left field on the first pitch of the inning. Two batters later, Chaz Vesser was hit by a pitch. After a Riley Delgado ground out, Brad Jarreau hit a two run home run in nearly the same spot as Kemp’s. This put the Blue Raiders up 6-4. “I felt like it got us going in the right direction,” Kemp said about the big fourth inning. They weren’t able to maintain the momentum, however, as Old Dominion brought in three runs through two homers of their own. The second home run saw starting pitcher Jake Wyrick’s day end, losing 7-6 at that point. Devin Conn came in for relief and had a career day. 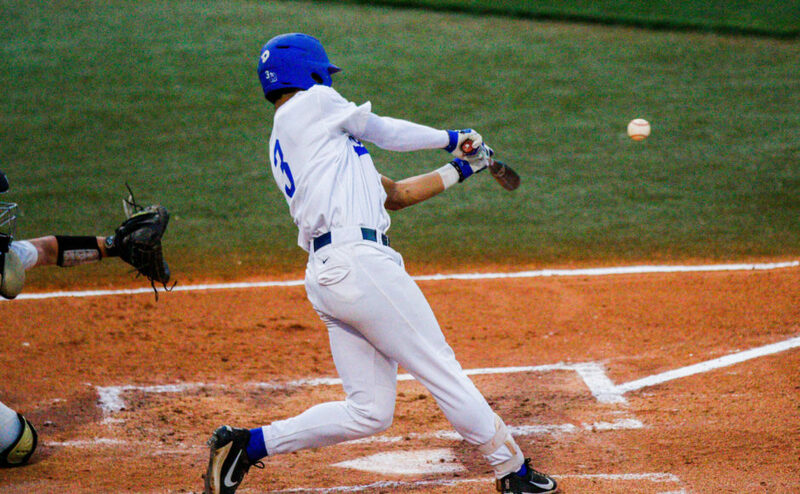 The Blue Raiders were able to reclaim the lead in the bottom of the sixth. Kemp’s big day continued with a single on the first at-bat of the sixth. He stole second and was brought around by Vesser to tie the game at sixth. A Delgado double brought Vesser to third, allowing him to score off of a Jarreau sacrifice fly to put the Blue Raiders up 8-7 in the sixth inning. In the eighth, Conn gave up his first run of the game off of a single to left field that brought a runner around from second. The ninth inning started with a walk by Conn. Aucker was brought in to pitch, while Conn was moved to right field. Old Dominion was able to score off of the baserunner, due to a wild pitch proceeded by a sac fly. MTSU wasn’t able to respond back with a run, losing 9-8. When called on with two outs in the fifth inning, He was able to get a strikeout to wrap up the side. In the sixth inning he struck out the side. The seventh inning saw Conn strikeout the first batter, get a groundout on the second batter and strikeout the third. The ninth inning saw Conn walk the first batter. After a ground out that advanced the runner, Conn was pulled from the game. 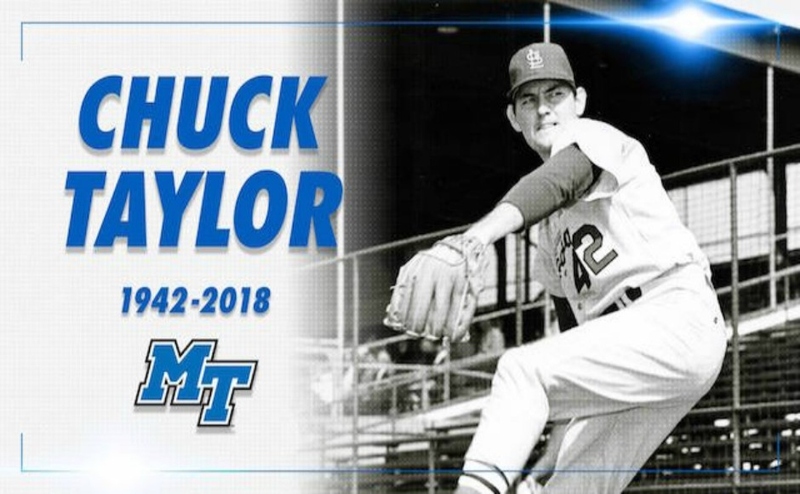 He ended up receiving the earned run and loss, but Conn’s performance was praised by MTSU Head Coach Jim McGuire. Conn ended the day with a career-high seven strikeouts, allowing two hits, two walks and two runs. Saturday, vs. Old Dominion 4 p.m.
Sunday, vs. Old Dominion 12 p.m.